Mr Green online casino has begun offering Bally Technologies’ slot games and there are plans to also offer the games on Mr Green’s tablet and mobile platforms. 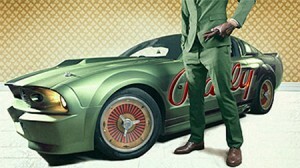 The online casino Mr Green has begun offering slot games developed by Bally Technologies. The General Manager and Managing Director for Bally Interactive, Michael Probert, commented that it is a “significant moment for Bally Technologies in the online market. Mr Green was the first online casino to offer games from a number of different developers thanks to an in-house developed solution. This means that players can enjoy games from a number of developers without having to sign up to multiple casinos.